With just a few weeks left of the 2017 season, there’s a huge opportunity for three American players - Sam Querrey, CoCo Vandeweghe and Sloane Stephens - to break the Top 10 for the first time. Perhaps the player with the best chance of breaking the Top 10 is Querrey, who’s been soaring up the rankings this year, going from No.31 to No.14 after deep runs at two majors - he made the semifinals of Wimbledon (falling to Marin Cilic) and the quarterfinals of the US Open (falling to Kevin Anderson). On the women’s side, two of America’s brightest young stars, Vandeweghe and Stephens, are close to breaking the Top 10 for the first time too after absolute breakthrough seasons at the Grand Slams. Coming into this year, Vandeweghe’s best result at a major was one quarterfinal, at Wimbledon in 2015. But in 2017 she reached the quarterfinals or better at three of the four majors - the semifinals of the Australian Open, the quarterfinals of Wimbledon and the semifinals again at the US Open. After missing the first six months of the season recovering from a foot injury, Stephens had an historic run in the summer, reaching back-to-back semifinals at Premier 5 events in Toronto and Cincinnati and then capturing her first Grand Slam title at the US Open (beating Madison Keys in the final). Currently ranked No.12 and No.13, respectively, if Vandeweghe or Stephens play in Zhuhai next week and go deep, either one could break into the Top 10, which would make them just the second new US woman to debut in the Top 10 this millennium (Keys is the only one to do it since 1999). 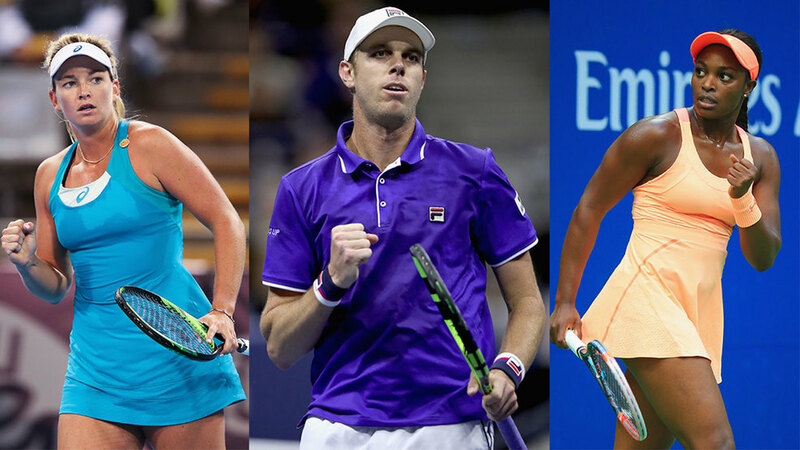 Will Querrey, Vandeweghe or Stephens join Venus Williams in the year-end Top 10? Stay tuned!